Hi everyone, and welcome to the post I reckon has the most click baitey title I have ever come up with. And next week, 17 things you didn’t know about six side dice. Number 12 will freak you out! I’m lying of course, about the post about D6s, though this title is more like clickbait than I would normally use, but it does feel appropriate. 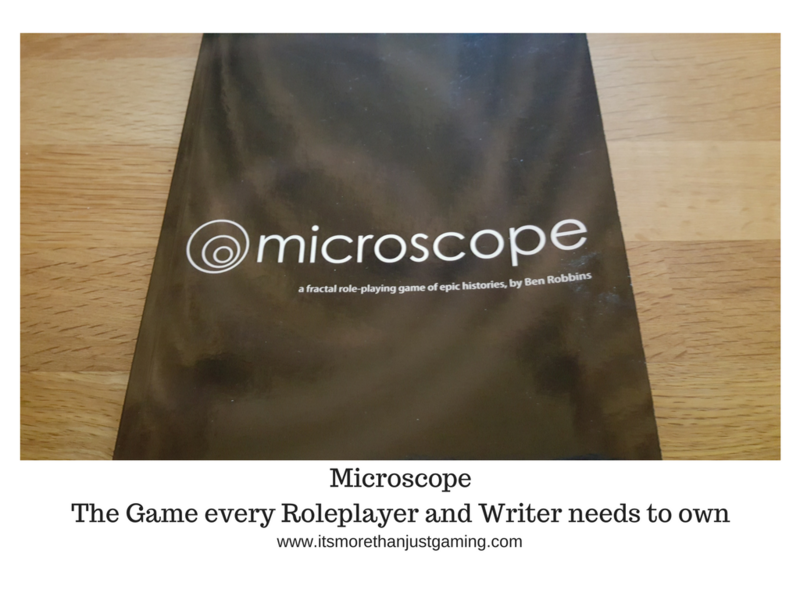 I recently was given a loan of the rulebook for the Fractal RPG, Microscope. Microscope is a game where a number of players build an entire history from the top down, defined by a number of parameters, and then populate it with really cool events. For more details on Microscope, I encourage you to watch my video about it. Normally I would summarise what I have covered on this video, but today I am not able to do that. If you want to know about Microscope you will need to watch the video. That being said, I just wanted to clarify a point I made on that video. When I was talking about Time Periods, I used the example of “The Golden Age of the Empire of the Silver Falcon” as the description of that Period. It would, perhaps, work better if I narrowed the period to be things like “The Birth of the Empire of the Silver Falcon”, “The Reign of Emperor Justin the Glorious” or even “The War with the Magellenic Hegemony”. That way you can have a bit more control over your storytelling Of course, using the example from the video, there is nothing to say that an earlier event could not be “The Birth of the Silver Falcon Dynasty” or something like that. And I will reiterate what I said on the video. I truly believe this game will be a boon to any writer. The approach to gameplay is a good mindset for planning narrative, and the gameplay itself is likely to keep the creative parts of your brain well oiled. Anyway, that was video on Microscope. I am really excited to play this and I daresay I will have more to say about this in the near future.